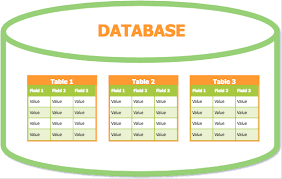 Database Source Pro feature allows you to display the table and its fields from the database – on the front-end of a website in couple clicks! Feature giving you the ability to display data from any table of WP database or External databases, or select the data, making the Database Query Source. You have all options to create, manage and embed interactive charts, using data from Databases. This option is irreplaceable if you need to show data straight away on front-end. Nothing can be more easy to take data directly from any table in the database, make its editable for users, customize and simply add with a short code. You might be able to select fields for editing optionally: for only logged in users or users with selected roles. Moreover, you can allow to save data to the database table through the frontend fields. Each Table created using Database Source feature can be customize with the main settings and features like any other table. But note such tables are NOT editable yet, but we are working on it. Try it now and create the great table, using incredible Database Source feature, add Sorting, Searching, Pagination, Front-end Export, Highlighting and another options of Data Tables Generator.